For the fifth time a selection of the best Italian companies in the hospitality sector exhibited under the umbrella name of ItalianContract4HospitalityDesign (ic4hd) at HD Expo – the most important trade show for the segment on the US market. The expo took place from May 13th to 15th at the Mandalay Bay Convention Center in Las Vegas and registered an important increase in the number of specialized visitors. The 2 digits jump in attendance from 2014 is mainly due to the high quality of the fair, marked by a significant number of exhibitors (around 850) and by a rich and high-quality conference schedule. The upturn of the hospitality sector in the US did the rest. Architectural firms, designers, specifiers, contractors, developers, owners and purchasing offices of hotels, restaurants, cruise ships, casinos and residences visited the fair both to check out the latest products presented by the exhibitors and to show the projects in their pipelines. Thanks to the excellent position on the main corridor, ItalianContract4HospitalityDesign was visited by important architects, designers and specifiers. All the Italian Contract proposals stirred up great attention and enthusiasm: from Gervasoni and Very Wood sophisticated outdoor upholstery and chairs, armchairs, small sofas and bar stools for restaurants and public areas, to Indel B incredibly thin minibars and innovative safes and Radici USA carpets with a soul, up to Cooperativa Ceramica d’Imola high end ceramic tiles, Soft Interior by Sleeping and co hook-and-loop tiles and panels in leather and fabric and Mosaico Digitale with its original mosaics. Each company shown some news, embodying the best of Made in Italy for high quality and design. 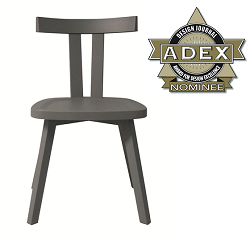 Brick 307 by Gervasoni is a rocking chair, with a frame in American walnut and the upholstered seat and back in polyurethane foam. 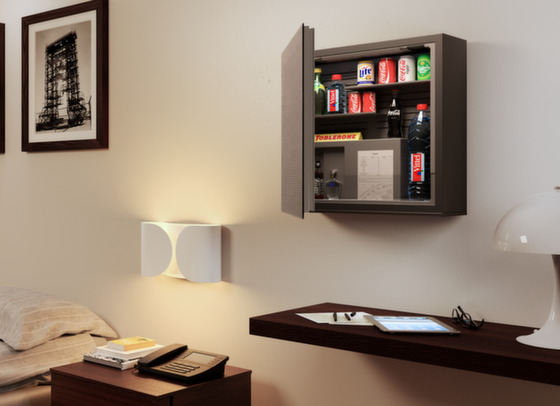 Indel B showed off Flyingbar, the least deep minibar on the market – 8 inches only! 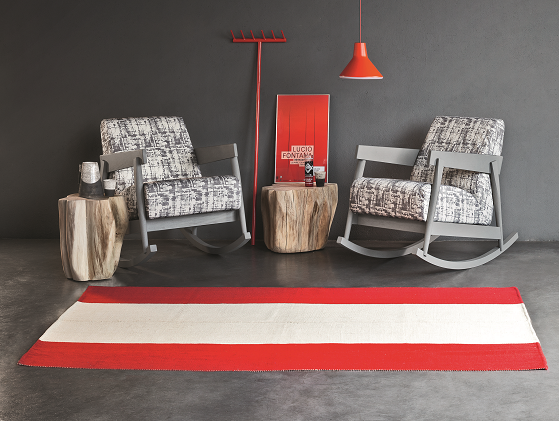 Radici USA displayed a wide range of its carpets, among which the stylish Abetone Club, a Wilton Woven, 6 mm cut and loop pile carpet available in 25 beautiful colors. Last but not least, among the confirmations, the 2014 ADEX Awarded hook-and-loop tiles and panels of Soft Interior by Sleeping and co: thanks to the wide choice of materials and colors and to the extremely easy laying system, this product grants the highest possibilities of customization of each surface, both straight and curved. 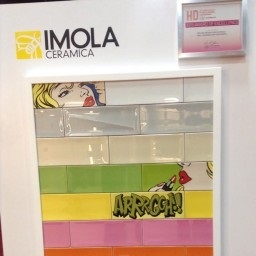 For what concerns 2015 new entries, Cooperativa Ceramica d’Imola North America presented the wall tile Pop by Imola Ceramica illustrating 10 different Pop Art images while Mosaico Digitale showed off its revolutionary solution for decorating interior and exterior surfaces converting digital images into wonderful resin mosaics. 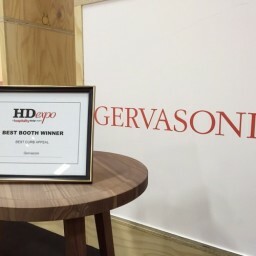 And the very high standing of the Italian Contract companies has been well recognized by different awards: after 2014 ADEX nomination for its Gray collection, this year Gervasoni has been awarded as Best Booth Winner for the category Best Curb Appeal, while Cooperativa Ceramica d’Imola is the winner of the 19th Annual IIDA/HD Product Design Competition, for the category Applied Finishes and Materials – Wall Coverings and Treatments with the wall tile Pop by Imola Ceramica. ic4hd companies can be followed also on the social networks Facebook, Twitter and LinkedIn! So, don’t miss the countdown to HD Expo 2016 both on the show website and on ic4hd blog and Arrivederci in Las Vegas from May 4th to 6th 2016! … -10 … -9 … -8 … the countdown has finally started! For the fifth time a selection of the best Italian companies in the hospitality sector will exhibit under the umbrella name of ItalianContract4HospitalityDesign (ic4hd) at HD Expo – the most important trade show for the segment on the US market – opening on May 13th. This time, again, the exhibitors will present a vast selection of product categories, ranging from Gervasoni and Very Wood (#4547) sophisticated outdoor upholstery and chairs, armchairs, small sofas and bar stools for restaurants and public areas, to Indel B (#4747) incredibly thin minibars and innovative safes and Radici USA (#4848) carpets with a soul, up to Cooperativa Ceramica d’Imola North America (#4751) high end ceramic tiles, Soft Interior by Sleeping and co (#4852) hook-and-loop tiles and panels in leather and fabric and Mosaico Digitale (#4652) with its original mosaics. 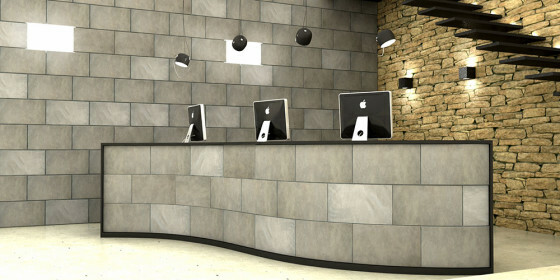 Each company shows some news, every product embodies the best of Made in Italy for high quality and design. Here it’s a brief preview of what you will find at the show. Brick 307 by Gervasoni is a rocking chair, with a frame in American walnut and the upholstered seat and back in polyurethane foam. Indel B will show off Flyingbar, the least deep minibar on the market (8 inches only!). 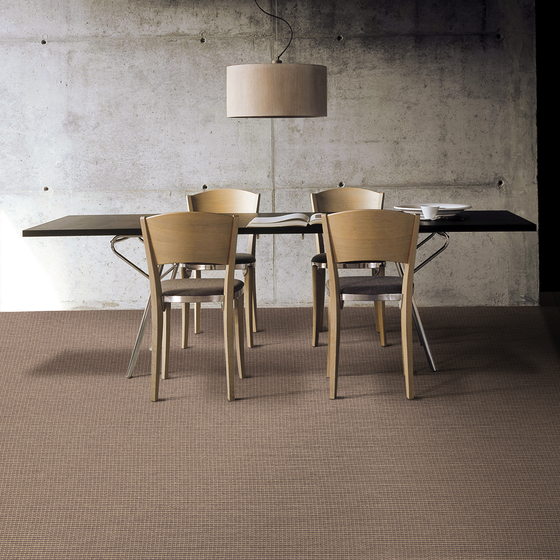 Radici USA will display a wide range of its carpets, among which the stylish Abetone Club, a Wilton Woven, 6 mm cut and loop pile carpet available in 25 beautiful colors. 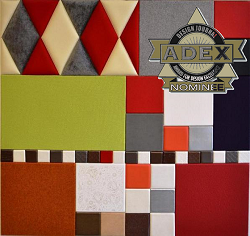 Last but not least, among the confirmations, the 2014 ADEX Awarded hook-and-loop tiles and panels of Soft Interior by Sleeping and co: thanks to the wide choice of materials and colors and to the extremely easy laying system, this product grants the highest possibilities of customization of each surface, both straight and curved. 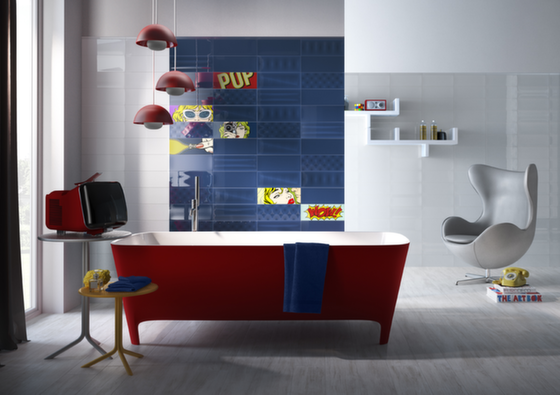 For what concerns 2015 new entries, Cooperativa Ceramica d’Imola North America will present the wall tile Pop by Imola Ceramica illustrating 10 different Pop Art images while Mosaico Digitale will show off its revolutionary solution for decorating interior and exterior surfaces converting digital images into wonderful resin mosaics. Are you ready? We’re waiting for you at HD Expo, from May 13th to 15th at Las Vegas Mandalay Bay! 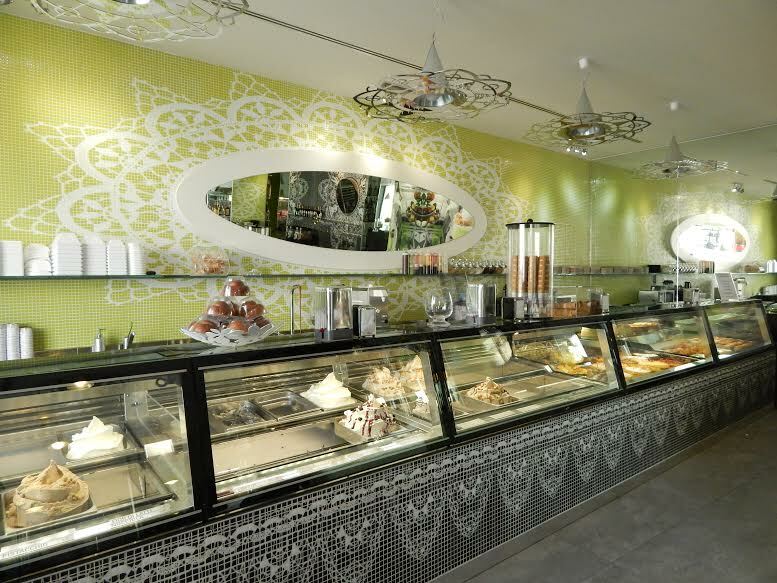 The flexible composition of the hook-and-loop tiles enables the installation on every kind of surface, even curved or irregular. It can be applied, for example, on hotel reception desks. 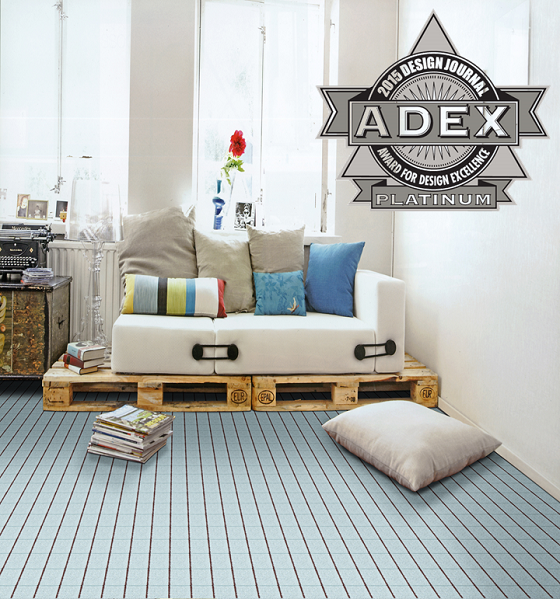 ADEX Award: great success for IC4HD companies! 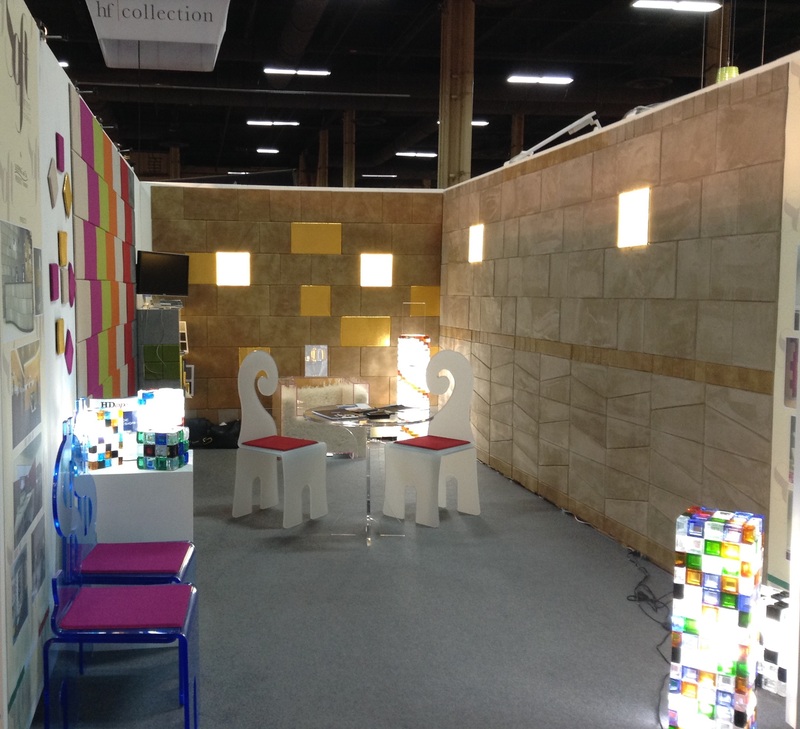 At its first participation at HD Expo, Sleeping and co presented an innovative product, specifically developed for the contract sector: a versatile coating system that – thanks to the wide choice of materials and colors and to the extremely easy laying system – grants the highest possibilities of customization and renewal of each space or surface. The quantity of leads generated, together with the high level of the operators met, created great expectations that led the company to confirm its presence again for the 2015 edition.